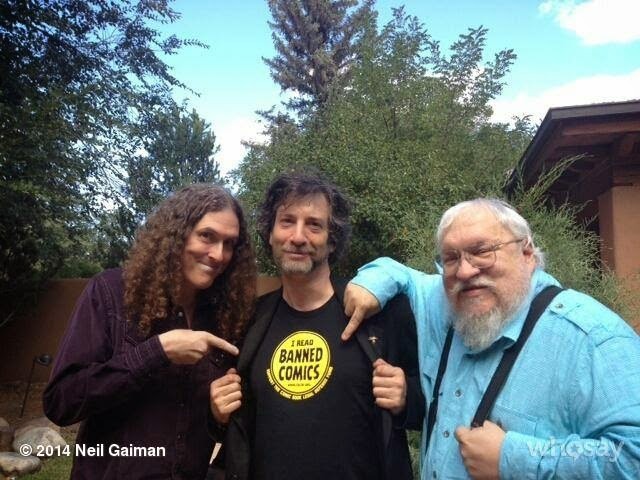 "Weird Al" Yankovic, Neil Gaiman, and George R.R. Martin... all three together in one epic image! I should make this the wallpaper image of my iPad, since I have all of Gaiman's Sandman series and Martin's complete (thus far) Game of Thrones/Song of Ice and Fire books loaded on it. To say nothing of practically every song and video that Weird Al has produced throughout his career.